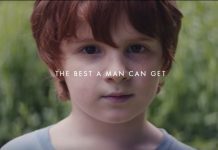 This opinion-editorial was written by Laura Wiebe, Career Closet intern and senior in apparel and textiles. If you would like to write an op-ed with the Collegian, send us an email at opinion@kstatecollegian.com to get started. However, during this preparation process, some students may overlook a crucial component to the job hunt — the interview outfit. Since college students aren’t Carrie Bradshaw, with her numerous closets and endless budget, finding a nice professional outfit can be stress-inducing. Take a deep breath. There are places to find affordable business attire, easy ways to put together outfits for that big interview and a golden rule to guide your apparel decisions. Knowing where to shop is the first hurdle to leap over. 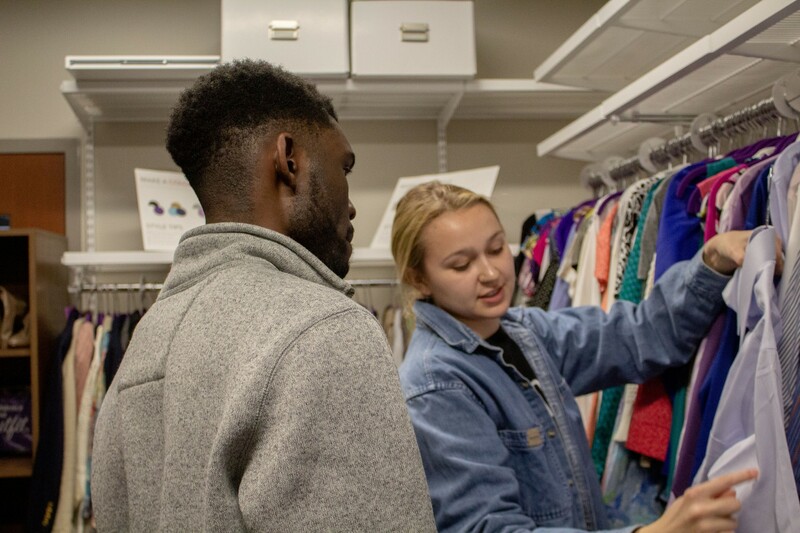 Kansas State University students fortunately have free resources on campus, like the Career Closet in the Berney Family Welcome Center. The Career Closet contains curated business attire for all genders, ages and professions. Staff members can assist students with questions they may have about business attire. Every item of clothing is hand selected because it meets Career Closet criteria. Items are in good, lightly used condition and are considered business professional. Everything in the Career Closet is completely free for students. 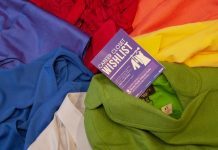 However, because the Career Closet is donation-based, the size, color or item you’re looking for may not be available. Additionally, the Career Closet is helping with the Suit Up event at JCPenney in Manhattan Town Center on Sunday from 6:30 p.m. to 9:30 p.m. Students with a valid K-State ID can get 40 percent off of business attire and shoes. The event will also feature a raffle, Sephora makeovers, professional photos and student helpers to answer any questions that may arise while you shop. When looking for interview attire, don’t overlook Goodwill or Salvation Army, either. You may have to put in more effort to scour the racks, but they have reasonable prices and hidden treasures. Once you find a few clothing options, it’s time to style your outfit. For some students, this might be the most daunting part of the process. Start small. Pick just one item that you know you are going to wear for the interview. This item should be your biggest item, like a blazer or a full suit. Then, start adding to that. Start with a shirt, then shoes and maybe a tie or necklace. The less patterning an item has, the easier it is to mix and match. Try to stick to soft, calming colors, especially if you are in an industry that may value conservative attire. Keep in mind that you are still a college student. The companies you are interviewing with know that. If you can only find a nice top with slacks but no blazer, don’t stress. Just look as clean and polished as you can. Finally, wear what makes you feel confident. If high heels make you wobbly when you walk, you will be wobbly when you talk. You want your outfit to make you feel confident, so you can exude confidence during your interview. This is a simple rule, but if you wear something that makes you uncomfortable, you aren’t doing yourself any favors. When it comes to interviews, be confident, clean, professional and, most of all, be yourself. If you don’t like the color blue, then get the gray or black suit. You don’t need to be a carbon copy of the person interviewing you. Keep that in mind while you shop and create outfits. Happy job searching! Laura Wiebe is a Career Closet intern and a senior in apparel and textiles. 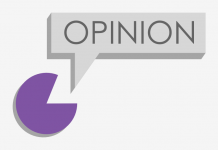 The views and opinions expressed in this opinion-editorial are those of the author and do not necessarily reflect the official policy or position of the Collegian. Please send comments to opinion@kstatecollegian.com.